The service - integrated directly with its e-mail service Gmail - allows users to post status updates, share content and read and comment on friends' posts. The site pitches Google directly against rival networks such as Facebook, which has amassed nearly 400 million users since its launch in 2004. Buzz will try to capitalise on the number of regular Gmail users, which is currently around 170 million people. BBC News technology correspondent Rory Cellan-Jones said that the launch appeared to be a "major land grab by Google for the social networking space". "They've launched Buzz with plenty of interesting new features, particularly for mobile users, but the real question is whether there's enough to entice social networkers away from sites like Facebook and Twitter," he said. Rival Yahoo already offers a service that allows people to see updates from sites such as Twitter and Flickr from inside their Yahoo Mail page. 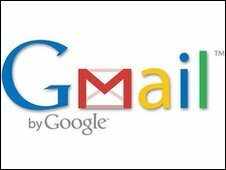 The new features are built directly into Google's free e-mail service Gmail. Users can post private or public status updates - known as a buzz - and share content from other sites such as Twitter, YouTube, Flickr and Picassa. The messages - highlighted with a Buzz symbol - are incorporated directly into a person's Gmail inbox. Private updates are automatically added to a user's profile page, whilst public updates will also be available to search engines. The site also incorporates elements of Twitter, such as the ability to "follow" people that share updates, and features that appear in Facebook such as the ability to "like" content. Buzz will also recommend content from people that it thinks you may like to see and incorporate it directly into a user's content stream. Google Buzz product manager Todd Jackson described it as "an entirely new world in Gmail" during a press event at Google headquarters in Mountain View. The firm has also integrated it with its mapping service and mobile platforms. For example, it has launched a mobile application for phones running its operating system Android. Status updates sent from phones will record the location of the sender and add it to the message. Other users can then search public messages from their phone. "You can see what people in your neighbourhood are saying," said Google's Vic Gundotra. Public updates will also be added to Google Places, a directory of businesses that include reviews of restaurants and theatres, for example. 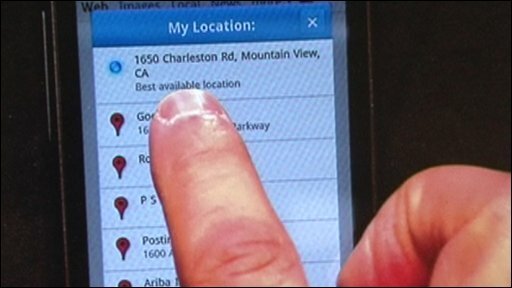 The firm has also built the technology into the mobile versions of its maps. It is not the first time Google has tried to launch a social network. In 2004, it released Orkut. However, while it has become big in countries such as Brazil and India, it has been overshadowed by sites such as Facebook elsewhere. The firm also recently launched Google Wave, a tool that mixes e-mail, with instant messaging and the ability for several people to collaborate on documents in real time. Facebook is currently the most popular social network worldwide. Last week it rolled out a new site layout and design for parts of the service to make it easier to search messages and chat.